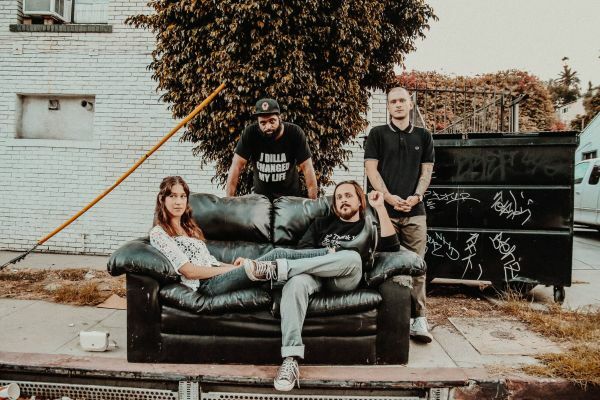 Los Angeles, CA’s Broken Field Runner has seemed quiet since 2017, when the band released their four-song EP Heavy Hanging Fruit with Chicago-based label Jetsam-Flotsam. That’s not to say the band hasn’t been busy; in fact, singer and guitarist Anthony Bucci has been writing, performing, and recording non-stop since the release. As the band gears up for another full-length, Bucci and Broken Field Runner are ready to share the fruits of their most recent labors. The Big Takeover is pleased to host the premiere of “Put An Ocean Between My Self-Pity and Me,” the latest single by the band. Though more peaceful and restrained than the pop-punk featured on the band’s 2015 debut Clear a Place in Heaven So This Earth Can Breathe, “Put An Ocean Between My Self-Pity and Me” captures the depth of emotion and poetic lyricism listeners have come to expect from Bucci—and sets the table for the band’s next set of songs.